These simple modern wedding invitations 'Sweet And Salty' by Kaydi B has a bold sense of humour and was inspired by fun-loving people who love a good party and don't mind straying from tradition. 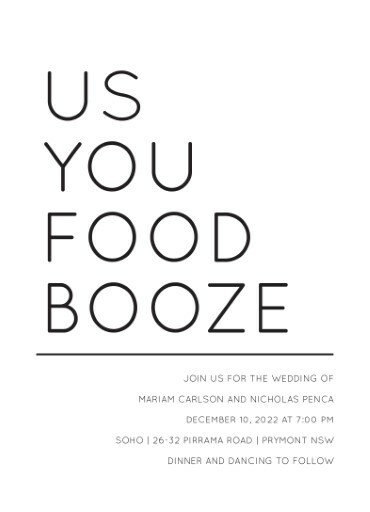 If you're looking for edgy and funny wedding invitations, these fully customisable invites should tickle your fancy. 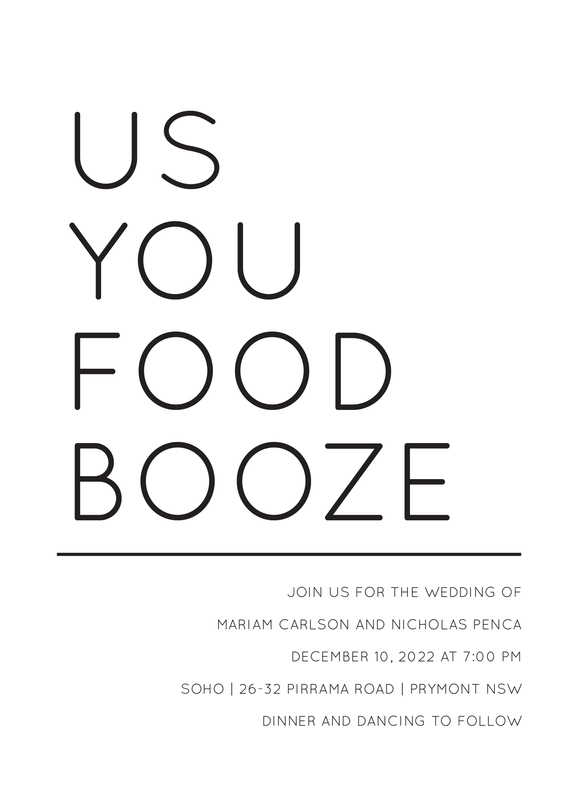 After all, who can say no to some free food and booze?